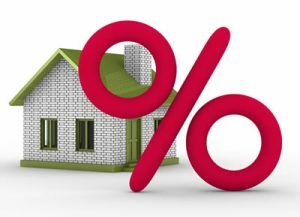 Getting a mortgage rate quote before receiving all your information may be misleading, so let us start with the real basics. Below is a list of items that will have an impact on your rate. A lender generally starts with a tri-merge credit score / report, these scores show your past willingness to pay. Someone with a 810 mid score will of course get a better rate than someone with a mid score of 620. Brake points vary from lender to lender. Generally the break points are 620, 680, 720, 780, and 800. Let’s look at DTI: ( Debt to income ratio) a person with a DTI of 10% will see a better rate than a person with a DTI of 49%. Type of property: single family residential home will see a better rate than a condo in Florida. Type of ownership: primary residence, second residence or investment property. Once this information is factored in, a range of rates can be available to the consumer. Beware of any one quoting a rate without the above information, chances are they may have to manipulate other cost factors to hold that quoted rate until lock time leaving you will less options or greater overall cost. Now let’s take a look at what funds you as a buyer may have available for a down payment and closing cost. This will also help us with loan options that will best fit your needs. Some different types of loans may include Conventional, VA, FHA, and USDA, as an example. These loan types have different requirements or restrictions with different allowances, concessions, and down payment requirements. After you have selected your type of loan and have a good understanding of the above, you can now look at selecting a rate for your needs. What select a rate? Yes you can select the rate around your loan program and expense you willing to pay or have paid on your behalf. Having options allows you to select a loan and rate for your needs. Getting a rate quote without giving a bank or a lender the above information, will only force them to adjust the cost of getting that rate quoted or find a reason to deny you at the last minute. Today with all the fast changing regulations it’s important to have someone like us who is willing to take the time to give you the most information possible for you to make the best decision.